Chelsea striker Olivier Giroud plans to have talks about extending his contract despite rumours of interest from Marseille. The 31-year-old joined the Blues for £18m from London rivals Arsenal in January and scored five goals in ten starts and a total of 18 appearances, including a memorable opener in the 2-0 FA Cup semi-final victory over Southampton. But Giroud told the Evening Standard he is “happy at Chelsea”. “I just arrived a few months ago and am just starting to settle well,” he added. Giroud played in every match as France won the World Cup in Russia and was given extra time off before re-joining late in pre-season. 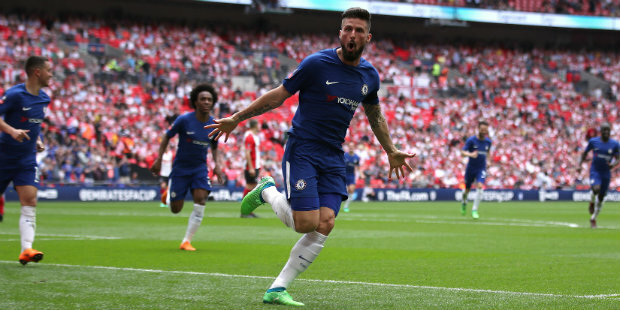 Be the first to comment on "Giroud wants to discuss new Chelsea contract"